So far, the bridges are merely a visual engine trick utilizing split-poly texturing (research that term if you want to know how it works) - you can't actually walk underneath them so they only make sense if you put them over a deadly abyss, however Crater Creator is currently working on a more elegant lua based solution which - if he succeeds - should enable us to implement bridges that work pretty close to normal ones found in other, more advanced game engines. thedoctor45 wrote: So far, the bridges are merely a visual engine trick utilizing split-poly texturing (research that term if you want to know how it works) - you can't actually walk underneath them so they only make sense if you put them over a deadly abyss, however Crater Creator is currently working on a more elegant lua based solution which - if he succeeds - should enable us to implement bridges that work pretty close to normal ones found in other, more advanced game engines. Well it's about time B & B was brought back. About time this thread got another (untextured) teaser image. You forgot to include the fps counter. It hasn't been relevant, since this map hasn't dropped under 30 FPS on my machine. I didn't realize Alephone rendering improved so much in the last few years. Wrkncacnter wrote: You forgot to include the fps counter. For this project you have to lower your standards, I think. As long as it works OK on one of the creator's computers, that's good enough to ship. It doesn't have to work on most people's computers, and it doesn't have to work well from every direction. A whole lot of effort into a giant hack is actually acceptable to some people! That's one explanation why B&B won't go away that makes sense to me, anyway. No, I'm not aware of any method to make a slope without using a 3D model. I know thedoctor45 is/was considering 3D modeled slopes in some places, but so far stairs are the better option to my mind. Okay. Thank-you for taking the time to answer my question. treellama wrote: For this project you have to lower your standards, I think. As long as it works OK on one of the creator's computers, that's good enough to ship. It doesn't have to work on most people's computers, and it doesn't have to work well from every direction. I'm using a 3 year old iMac and run Aleph One at max settings (OpenGL Shader with max texture resolution, native display resolution, etc). Both the map geometry and 3D models are as heavily optimized as they reasonably can be. The models in particular are basically boxes. With the aforementioned setup, the framerate has yet to drop under 30 FPS, the maximum that the engine supports. Other A1 maps dip well under 30 FPS on the same setup. I've been procrastinating on the texturing and lighting, but that's non-technical. Projectiles don't interact properly over the bridges for a certain subset of cases. This is the biggest head-scratcher for me right now. In multiplayer, the hack that makes the bridges work and the engine's latency hiding don't play nicely with each other. As a result, joiners may see more jittering than usual. The extent of the effect attributable to the bridges has been hard to isolate. Well, I think it's safe to say it won't run as well as Halo, particularly on SM1 hardware. And it won't look as nice. Or be as fun to play. But, I was saying, that's not the point of this project. As for Lua/3D Model bridges, there are a couple Lua API additions/engine enhancements that might actually make them sort of possible. Until then I'm pretty sure they're not going to work well in all cases. treellama wrote: As for Lua/3D Model bridges, there are a couple Lua API additions/engine enhancements that might actually make them sort of possible. Until then I'm pretty sure they're not going to work well in all cases. Well, what are you waiting for? 2015 is the year of B&B!!! I think you guys should stop making advancements to the AlephOne engine for Halathon, if you keep on this path it will become more Halo than Marathon until its just Halo. Shocktart wrote: I think you guys should stop making advancements to the AlephOne engine for Halathon, if you keep on this path it will become more Halo than Marathon until its just Halo. Halathon is really just a demo project to show how far the AlephOne engine can be pushed - it will never be a substitute for a complete game. The demo release will contain 8 seleted netmaps + 6-8 singleplayer levels. I don't see this getting beyond a techdemo state unless several more people join the team to help with the SP campaign. treellama wrote: ...won´t be as fun to play. I think it's pretty fair to assume that your hacked together Aleph One demake will not be as fun to play as the actual Halo 1, which was a pretty good and fun game. But, as treellama has said, that isn't really the point. I think Halathon is pretty damn impressive, in the same way that people making Final Fantasy 7 ROMs for NES emulators is impressive, but nobody is really thinking that's a replacement for the real thing, dude. 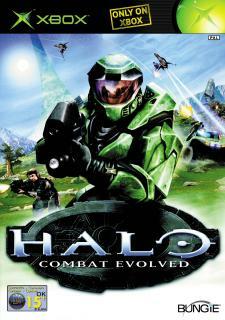 I'm not a fan of assumptions, all I'm saying is that it hasn't got to be considered an accurate Halo replica in oder to be equally enjoyable to play - Besides I'm trying to even out certain things that I didn't like too much in the original Halo (player speed being one of them for example) - a Halo clone with more Marathon-like gamplay mechanics will certainly provide a fresh experience for the player and that's what I'm aiming for here - although that is of course a subjective "improvement". Hey, it's starting to look like an (unlit) map! nice work Crater - the 3D models look good. Btw, I recommend you use the easyshade plugin for Weland to speed up the lighting process. PS: there's a 3D model for the two small "pillbox"-like bases located in the "objects/scenery/forerunner/forerunner_base_flat" directory of the Beta - maybe you can add them in, although I suppose their size will cause rendering isses with the engine again - I could split them into smaller chunks like we did with the bridges, maybe that will help - or we could just put a 3D roof over those pillars - that would probably be the easiest solution. What's that black surface at the top? that's supposed to be the night sky. The fog doesn't apply to the landscape texture in this pic.